I met fifteen year old Yvonise Augustin, in January 2015 during a USD international nursing trip to Haiti. The mountainous region of Grand-Bois has about 65,000 residents, and the St. Vincent de Paul Health Center of Grand-Bois is run by the ServeHAITI organization. It is the only place to get medical attention within 200 square miles. On the morning of January 12th, the clinic doors had opened for the day and as usual, an influx of the sick and injured clamored through the door to register for treatment. On one of the benches, waiting to be seen, was a young barefoot girl with edematous feet, sitting in a tripod position, struggling to breathe. A few of the students and myself, with our translator, performed the intake assessment on this young girl. What we learned from her medical chart was she had been treated at the clinic numerous times over the past few years and she had right-sided heart failure, probably due to a congenital abnormality. This beautiful young girl suffered from congestive heart failure which resulted in blood backing up into the liver, abdomen (ascites), lower extremities (edema) and lungs. With my stethoscope, I listened to her lung sounds and her heart and assessed her extremely rapid pulse and heart murmur. The clinic had been supplying her with multiple medications (when available) to increase the efficiency of her heart’s contractions and to decrease the cardiac workload. Due to her health condition, this fifteen-year-old girl had not yet gone through puberty, could not attend school, or run around and play with her friends. Yvonise stayed at the clinic with us for a week while the Haitian physicians performed a paracentesis and treated her with multiple medications. 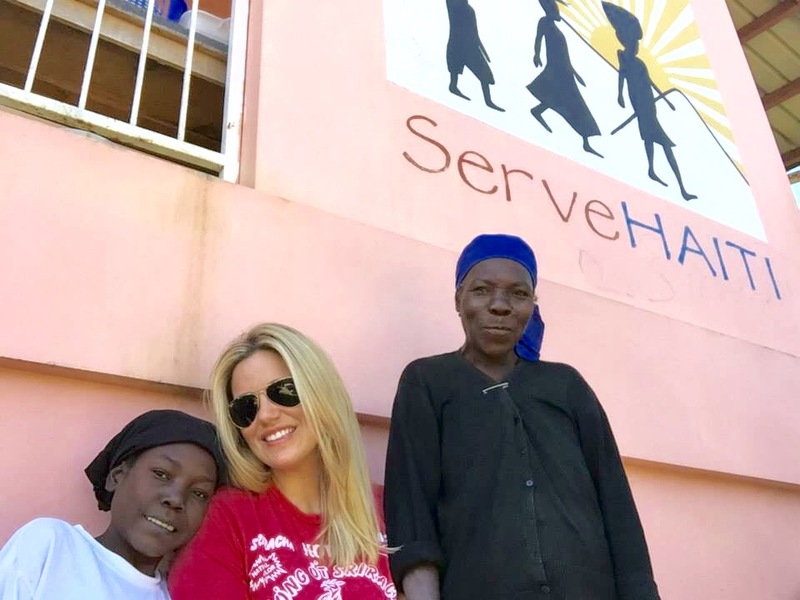 When I got home from Haiti, I was determined to help Yvonise. I reached out to everyone I knew who could possibly help and I mobilized some pretty incredible resources! Funding obtained was used to pay for Yvonise to be transported to Port-au-Prince to have an echocardiogram. My plan was to really see what was going on with her heart and send the echo results to every cardiologist and cardiac surgeon in the U.S. who would be willing to look at them. I was able to get a cardiac surgeon at UCSD to as well as a few of the top pediatric cardiac surgeons at Rady’s Children’s Hospital to give me their impression. I also contacted a pediatric cardiac surgeon in London who was leading a medical mission team down to Haiti in March with the “Open Hearts Haiti” organization, to perform surgeries on children for free. I sent him the echo videos as well as the reports from the physicians here in San Diego. I was able to get Yvonise’s name on the list to be evaluated for possible heart surgery with the team of London surgeons in March. They agreed to evaluate her but did not believe, based on the severity of her condition, that she would be a candidate for surgery. They had backup plans to see what could be repaired or treated with medication. Ultimately she would need a heart-lung transplant. Unfortunately, Yvonise passed away on Valentine’s Day, 2015, one month before the cardiac surgical team from London was to arrive and evaluate her. This girl had so deeply touched our lives that I wanted to establish a way for her name to live on forever. I decided to create the Yvonise Augustin Scholarship for Global Health and International Nursing. Each year one USD MEPN student will be awarded this $1,000 scholarship to be used for travel and other expenses related to international trips. MEPN students in good academic standing, were able to submit a 500 word essay outlining their previous volunteer work and/or future desires to work in global health and impoverished communities. 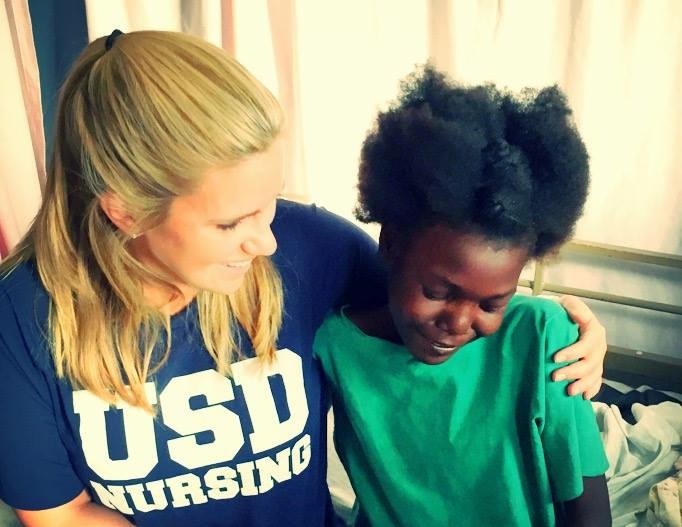 The first recipient of the Yvonise Augustin Scholarship for Global Health and International Nursing was awarded to 2nd year MEPN, Kaitlyn MacNeil. Stay tuned for a future BLOG Post from Kaitlyn when she returns from her Haiti trip. This entry was posted in International Program, Uncategorized and tagged Guest writer. Bookmark the permalink.